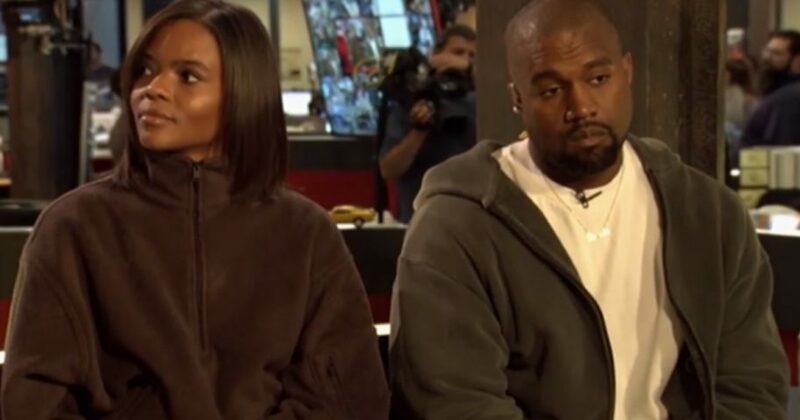 Following a pair of tweets Tuesday by rapper Kanye West announcing his exit from the political realm, conservative activist and one-time ally Candace Owens issued a public apology for actions she said led to the recent development. After attracting both positive and negative attention for his vocal endorsement of President Donald Trump, West revealed that he felt he had been “used to spread messages” he doesn’t endorse. In a tweet posted shortly before that one, West referenced Owens’ prior suggestion that he was responsible for creating logos for her “Blexit” movement, which were unveiled at Turning Point USA’s Young Black Leadership Summit held earlier this month. “Blexit is a renaissance and I am blessed to say that this logo, these colors, were created by my dear friend and fellow superhero Kanye West,” she said at the time. West challenged her statement on Twitter, prompting Owens to respond in an emotional blog post. Owens began her response with a message for “those that have relished” in her pain following West’s public statement. “If knowing that I bleed and that I hurt brings you comfort and celebration — then there is no question that you won last night,” she wrote. The pundit went on to recall her own childhood, suggesting that West’s rap music from that period saved her from a bad situation. “It’s a crazy thing to know that you wake up one day and someone whose words and lyrics literally kept your spirit alive is suddenly your friend,” Owens wrote. Will the #Blexit movement attract more blacks to conservative values? Defending Blexit as a movement designed to reach out to those with similar experiences as hers, Owens went on to take responsibility for the confusion surrounding her comments at the recent conference. She concluded with a message for those who have supported the Blexit movement since its inception, making it clear that they are “in no way … supporting the work of Kanye West” but “are supporting an orphanage of thought for free thinkers” that she expects to continue on its current course.